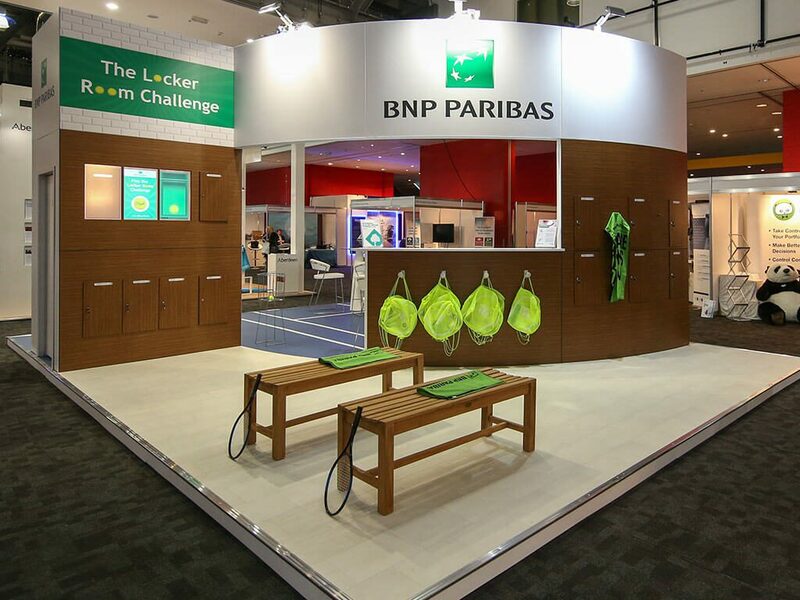 BNP Paribas, an international banking group, wanted a stand that was interesting and engaging, a stand with a buzz around it that would attract known industry contacts and stop people in their tracks as PLSA. The stand needed to represent two sides of the business and give equal visibility to both. 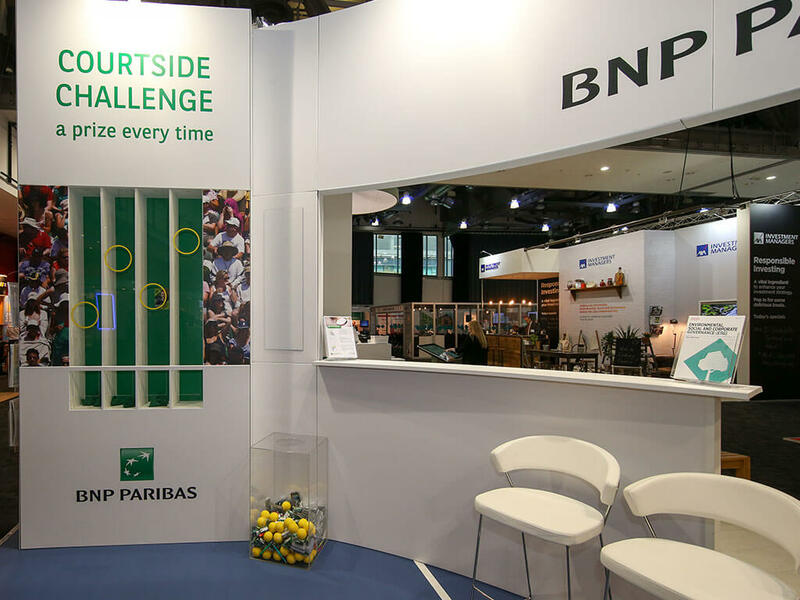 BNP wanted to incorporate engagement on to their stand to assist with lead generation and data capture, but in a fun, competitive way. 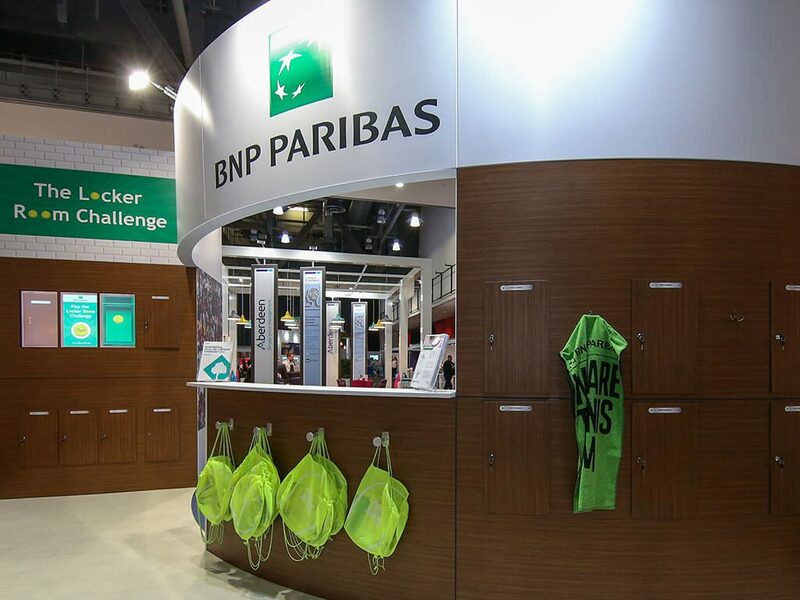 As a sponsor to many major tennis tournaments, they also wanted the stand to be tennis themed in design to reinforce this link. With the tennis theme in mind, the stand design divided their space in to two halves; ‘the locker room’ and ‘courtside’ giving representation to the two areas of business. A digital game featured on the locker room half that invited participants to find the tennis ball hiding in one of three lockers. The other half included a physical game where visitors had to throw bean bags through the holes of the perspex panel onto the court behind, scoring points and winning prizes. The two sides of the stand cleverly represented the preparation and the execution of the investments the company deliver for their clients. 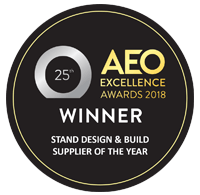 The stand design and engagement created a real buzz, causing intrigue from passing visitors. 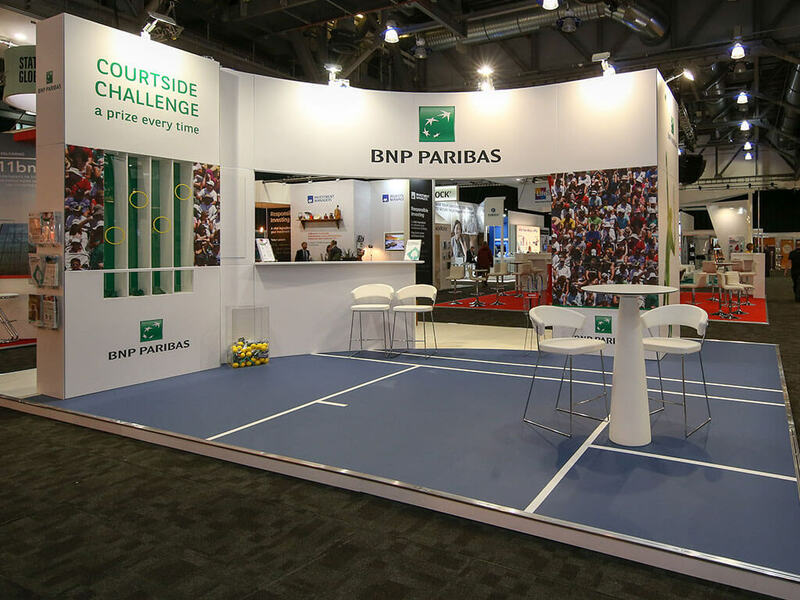 This made it easier for BNP’s stand staff to interact with prospects and draw them on stand to take part in the competitions, which in turn lead to more conversations and qualified leads.